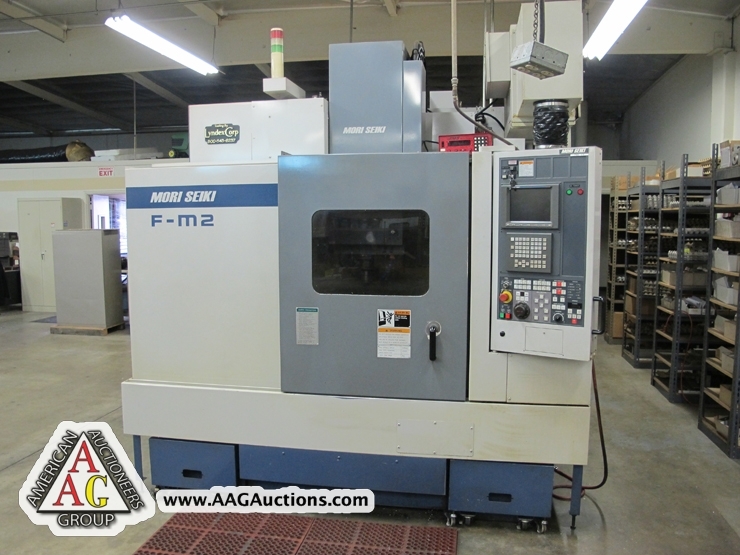 1996 MORI SEIKI FM-2 CNC VMC, WITH FANUC MSC-521 CONTROL, 20 ATC, 40 TAPER, 8000 RPM, WIRED FOR 4TH AXIS, 30’’ X 16’’ X 18’’ (XYZ), S/N 315. 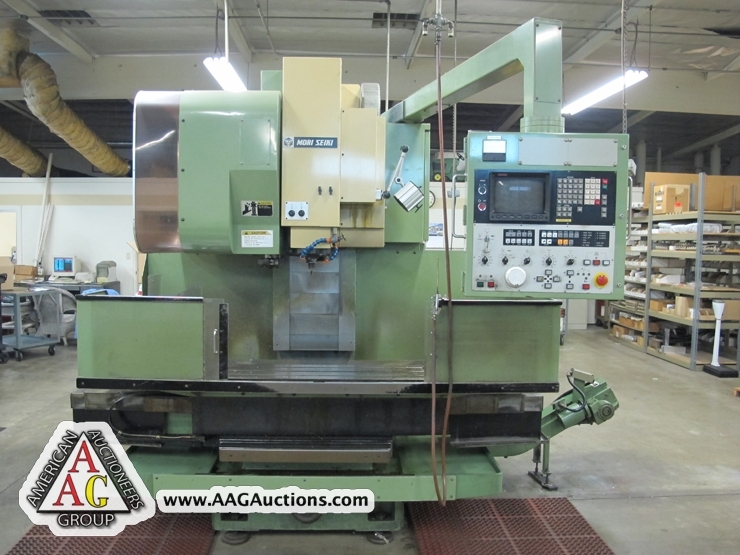 MORI SEIKI MV 35/40 CNC VMC, WITH FANUC 11M CONTROL, 20 ATC, 40 TAPER, 6000 RPM, WIRED FOR 4TH AXIS, 30’’ X 13’’ X 18’’ (XYZ), CHIP CONVEYOR, S/N 536. 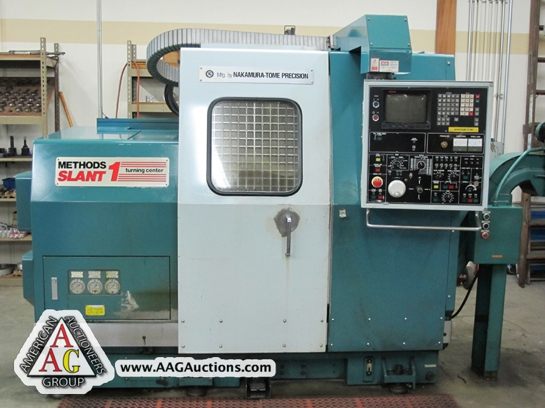 NAKAMURA SLANT 1 CNC LATHE WITH FANUC 11TE CONTROL, GEAR BOX STYLE, 8’’ CHUCK, 12 POSITION TURRET, PROGRAMMABLE TAIL STOCK, 1 5/8’’ THROUGH HOLE, 4500 RPM, 5C & 16C COLLET NOSE, CHIP CONVEYOR, S/N C21503. NAKAMURA SLANT 1 CNC LATHE WITH FANUC 11T CONTROL, 6000 RPM, PROGRAMMABE TAIL STOCK, 12 POSITION TURRET, 1 5/8’’ THROUGH HOLE, 5C & 16C COLLET NOSE, CHIP CONVEYOR, S/N 23301. 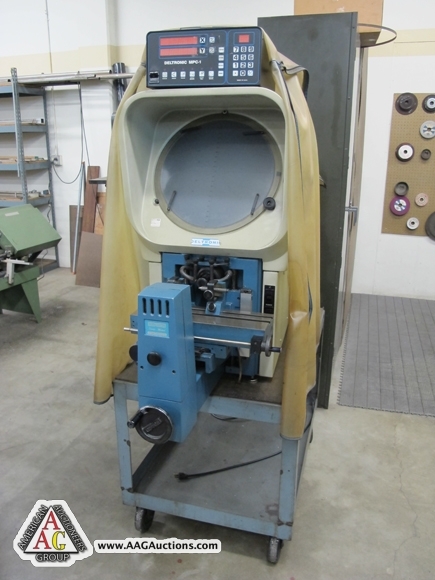 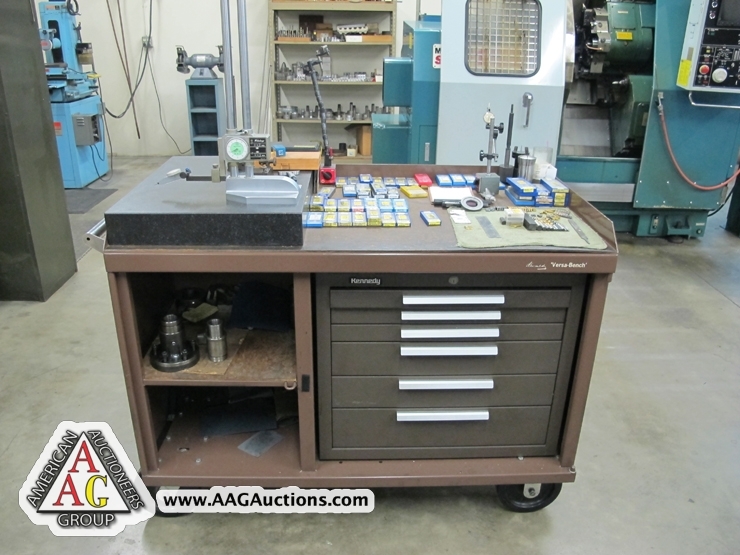 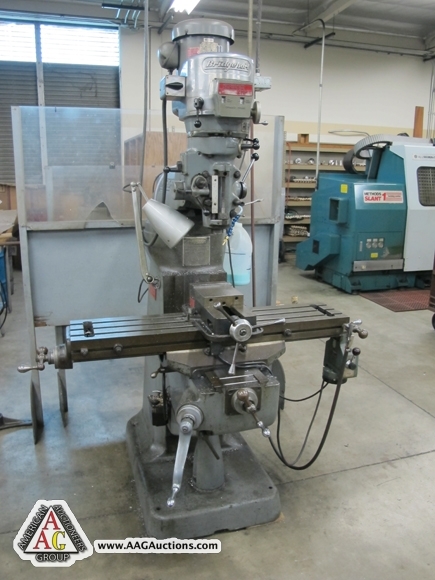 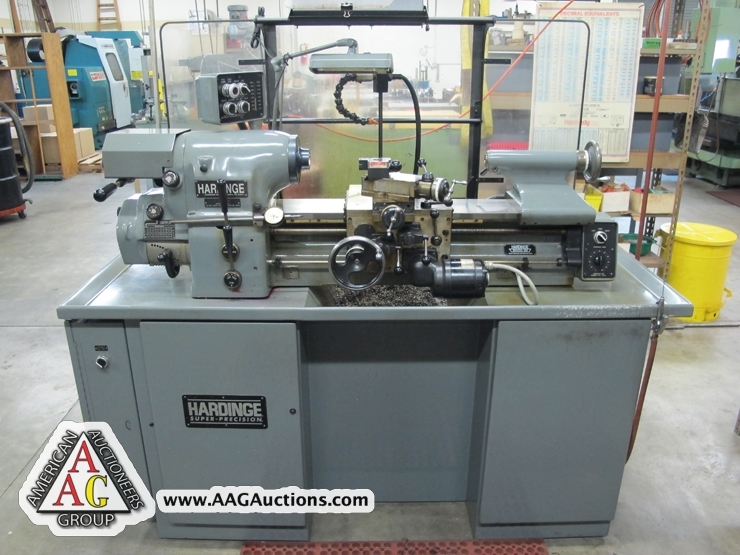 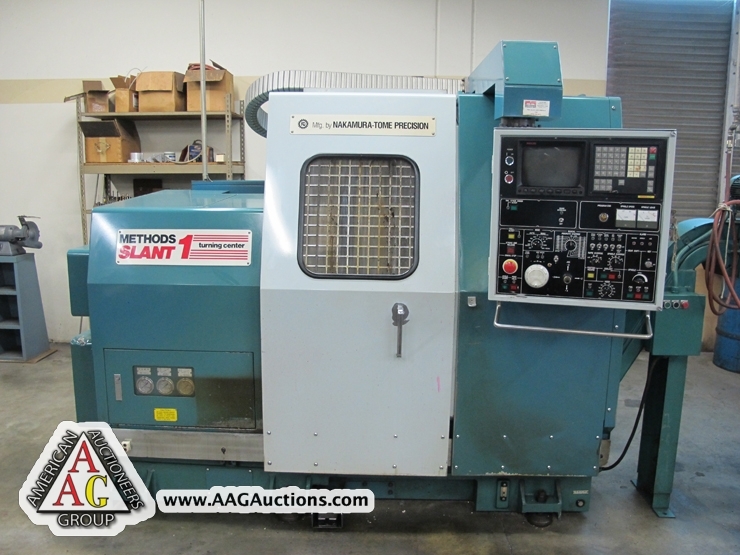 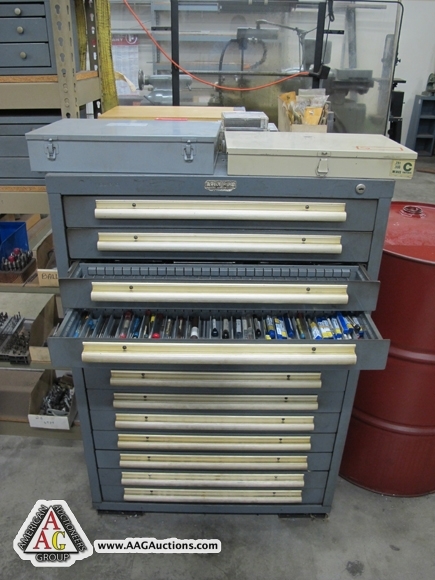 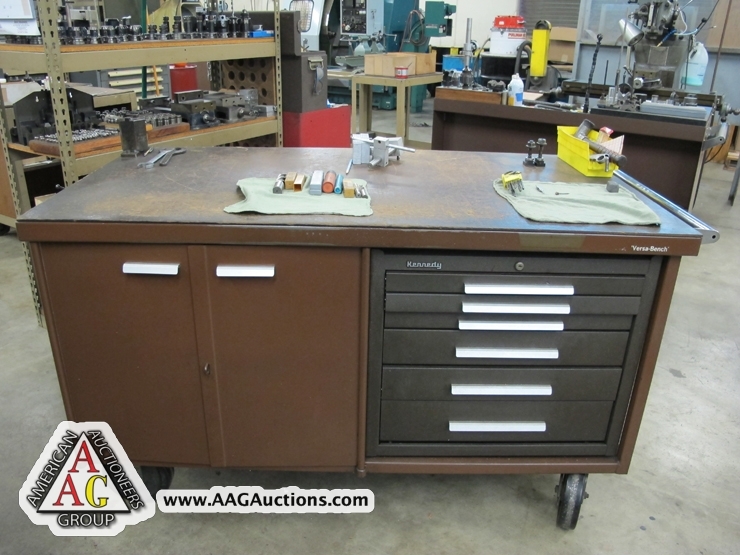 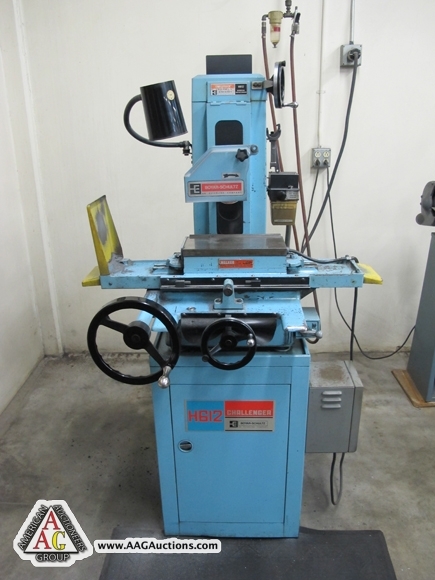 1996 HARDINGE HLV-H TOOL ROOM LATHE, WITH THREADING, 6’’ CHUCK, 5C COLLET NOSE, S/N HLV-H-1521-T.
BRIGEPORT VERTICAL MILL, 2HP, VAR SPEED, POWER FEED, CHROME WAYS. 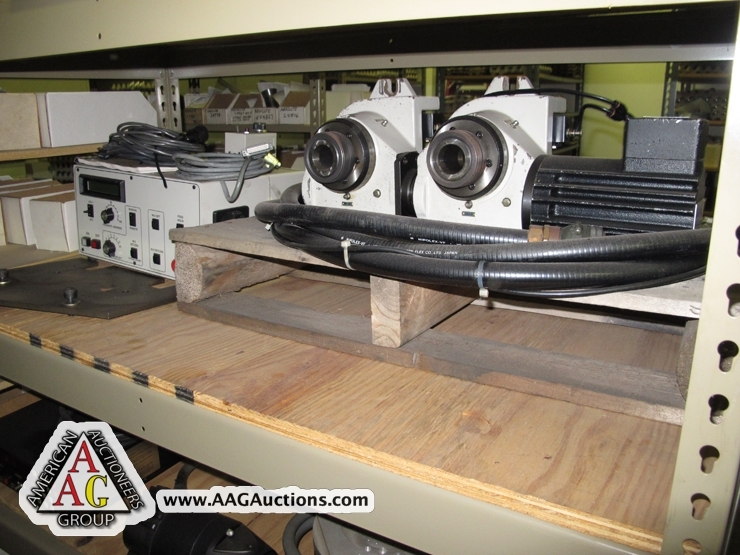 DELTRONICS D-814-MPC 14’’ OPTICAL COMPARATOR WITH MPC-1 CONTROLLER. 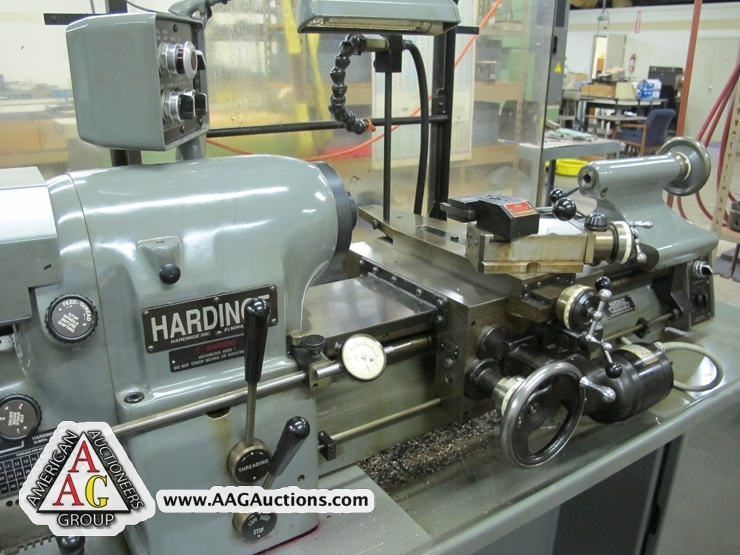 BALDOR GRINDERS, BURR KING SANDERS AND ETC. 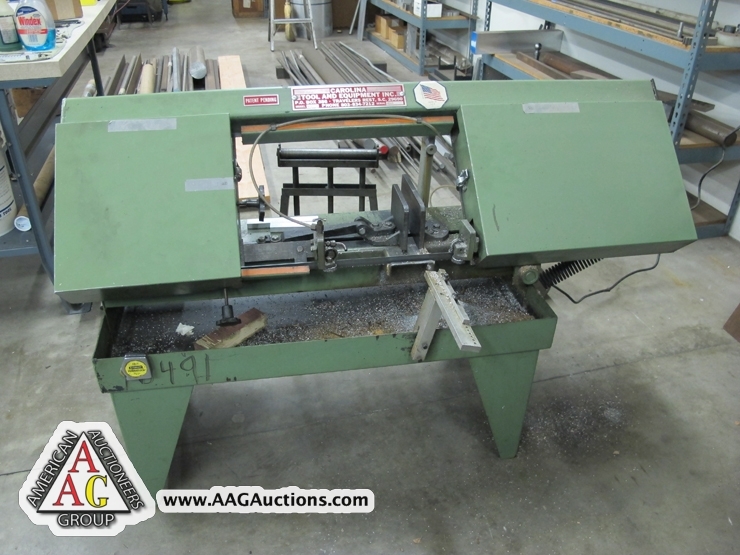 CAROLINA HD10 HORIZ BAND SAW. 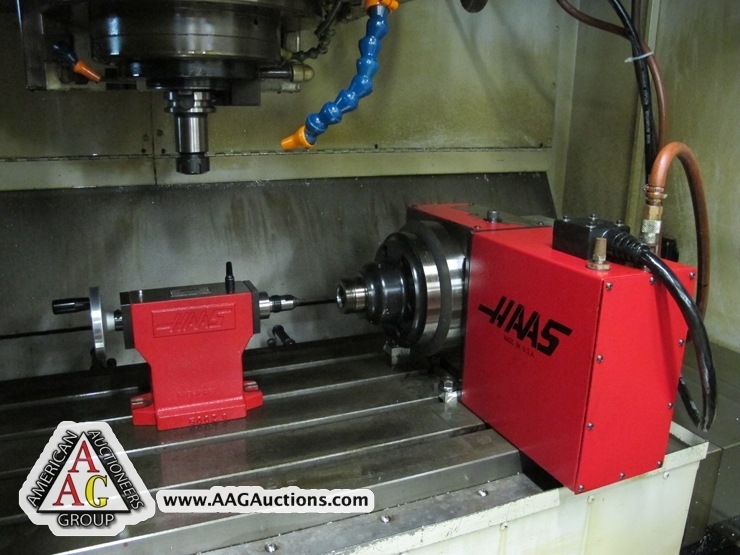 HAAS 8’’ 4TH AXIS ROTARY TABLE WITH TAIL STOCK. 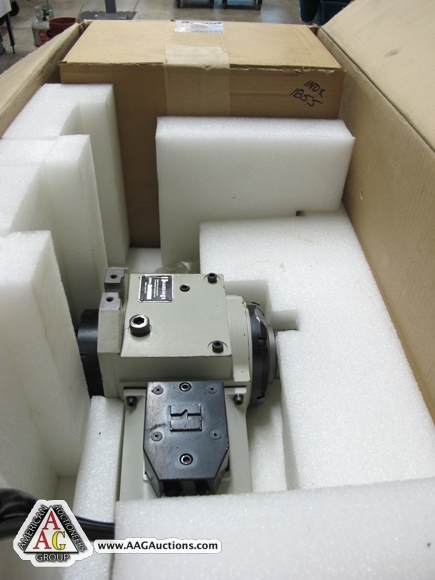 2) HARDINGE HV-4N 5C INDEXERS. 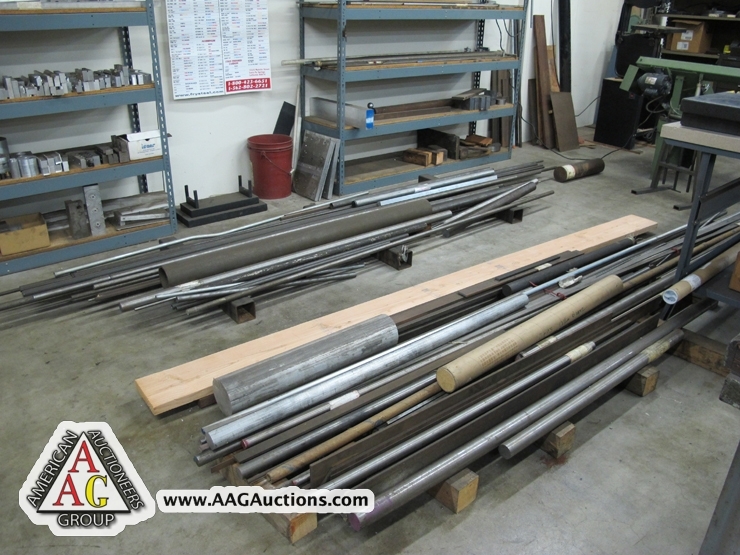 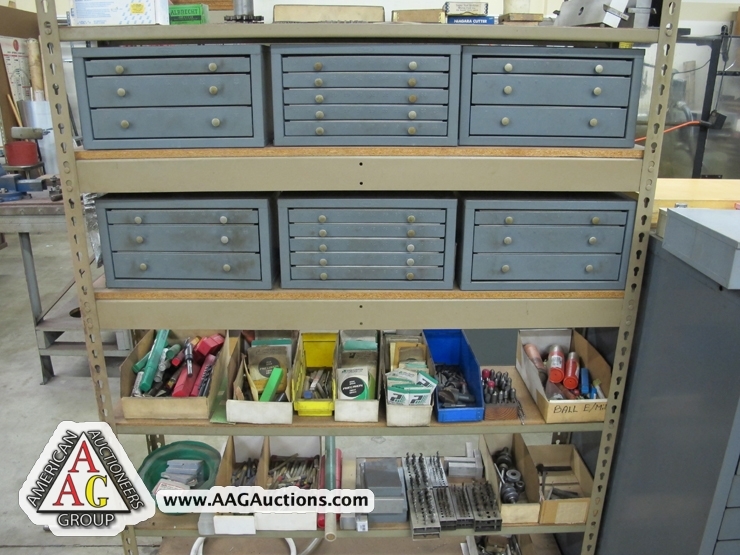 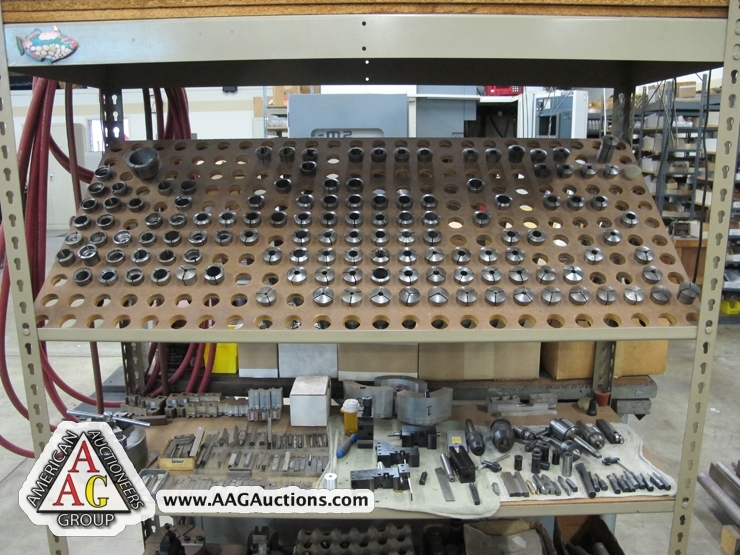 LARGE QUANTITY OF PRECISION TOOLING, INSPECTION TOOLS, KENNEDY TOOL BOXES, GAGES, HEIGHT GAGES, MICS, CALIPERS, BLADE MICS, MITUTOYOHEIGHT MASTER ETC. 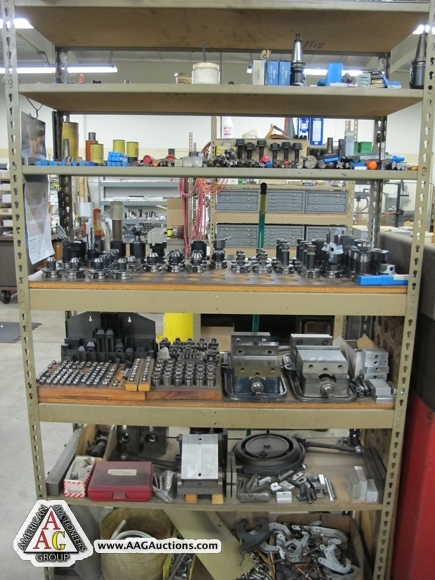 / MATERIAL, RACKING AND ETC. 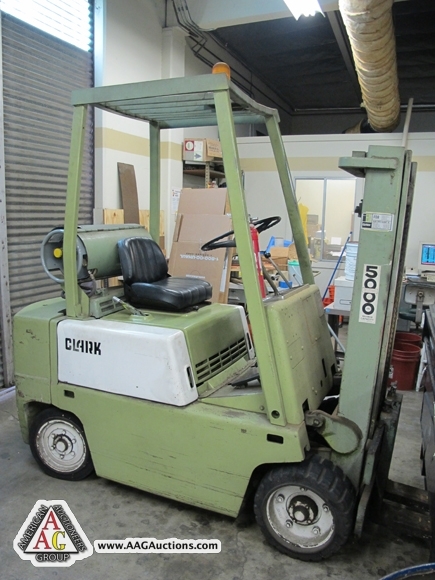 / CLARK 5000 LB LPG FORKLIFT.